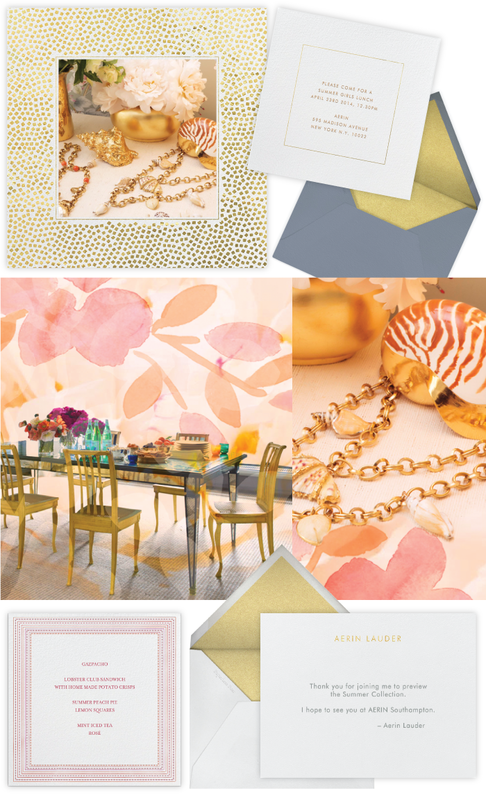 Style icon Aerin Lauder is ready to usher in the warmer weather with her curated selection of Paperless Post designs. She chatted with us about her design inspirations, lobster sandwiches, and what she learned from her grandmother, the exceptional Estée Lauder. What are you looking forward to once the weather warms up? A girls’ lunch is always a great way to celebrate the start of my favorite season. There is nothing I love more than endless sunny days, walking on the beach, and collecting shells. That sounds delightful. Tell us more! My favorite things to have for the ultimate springtime luncheon are fresh lemonade, straw tabletop pieces, bright summer flowers, and food that is delicious but easy. A simple lobster club sandwich with homemade potato chips is delicious and never fails to put a smile on a guest’s face. There’s a time and a place for both formal and casual entertaining. My favorite way to entertain, though, is an informal gathering with close friends, great food, and tons of laughs. My grandmother was the ultimate hostess and always left a small gift at each place setting. I always loved that tradition and have continued in my own way; I never let a guest leave without a small gift. What was your inspiration for the invitation, menu, and thank you note you designed? The Paperless Post designs I would use for my luncheon are clean, modern, and feminine. I love mixing patterns and vibrant colors. For the invitation, I loved the idea of using a picture to make it personal. The menu card has fresh and summery feeling that highlights food that is easy, delicious, and festive. Lastly, a thank you note should be simple and timeless. 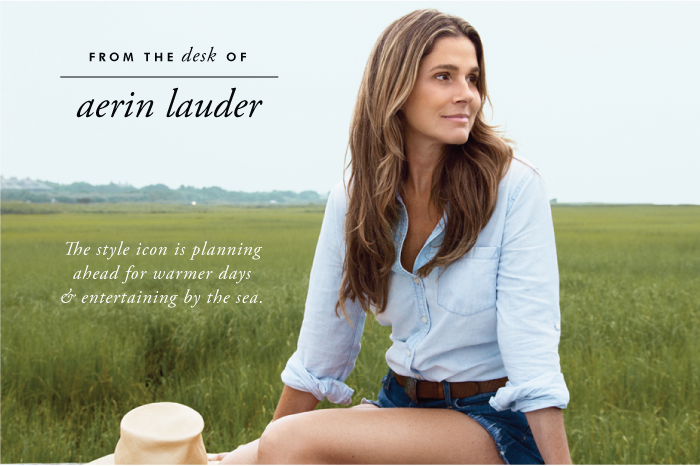 Aerin Lauder is the founder of luxury lifestyle brand AERIN and the Style and Image Director for Estée Lauder.